REUTERS/Steve SisneyContinental Resources General Counsel Eric Eissenstat arrives at the Oklahoma County Courthouse for divorce proceedings between Continental founder and CEO Harold Hamm and Sue Ann Hamm in Oklahoma City, Oklahoma September 22, 2014. From the bench, Special Judge Howard Haralson playfully tossed red and white peppermints to a lawyer sitting alone in the jury box who didn’t represent either of the Hamms in the case. For all but a few hours of testimony in the nine-week trial, the proceedings were closed to the public and to the media — a practice atypical in divorce cases that don’t involve child custody disputes. But interviews with a half-dozen people who were present in the courtroom, and with others familiar with the case, indicate that Eissenstat played an extraordinary role throughout the trial. It was Eissenstat, the company’s top lawyer, who advocated successfully for the trial to be closed to the public, contending that discussion of Continental’s confidential business information warranted secrecy. Judge Haralson agreed, saying on the first day of trial that he wished to keep “a divorce trial from destroying” Continental, one of America’s most successful oil companies. Although about 95 per cent of the trial was closed, Eissenstat was allowed to stay and to participate. Eissenstat also attended pre-trial hearings, court filings show, and visited frequently with Harold Hamm’s personal divorce attorneys, according to people familiar with the case. After the trial began, Eissenstat’s role in the case grew. Haralson allowed Eissenstat to interject during the proceedings, to approach the bench, and to attend meetings with the spouses’ lawyers in chambers, according to court filings and interviews with others in the courtroom. Reuters interviewed more than a dozen legal experts including family law attorneys, law professors, retired judges and marital dissolution consultants. All said that Eissenstat’s level of involvement in his boss’ divorce trial seemed uncommonly deep. Some said that the role Eissenstat — and by extension, Continental — played at the trial raises questions about whether the company supported the personal agenda of Harold Hamm, the company’s top shareholder, to the detriment of other shareholders. On Thursday, the day after Continental releases its quarterly earnings, analysts will have a chance to ask about the divorce case during a conference call the company is hosting. In that case, Rutkin said he did not recall GE Capital’s attorneys playing anything close to the role that Eissenstat is playing in the Hamm divorce. A key difference in the cases is that although Wendt was a top executive, he wasn’t a major owner of GE. Hamm owns about two-thirds of Continental. Haralson did not respond to questions from Reuters. His bailiff said the judge would not speak publicly about the case before ruling. Continental, in its statement, said it “did not seek to participate in the divorce case.” It was compelled to by Sue Ann, it said. 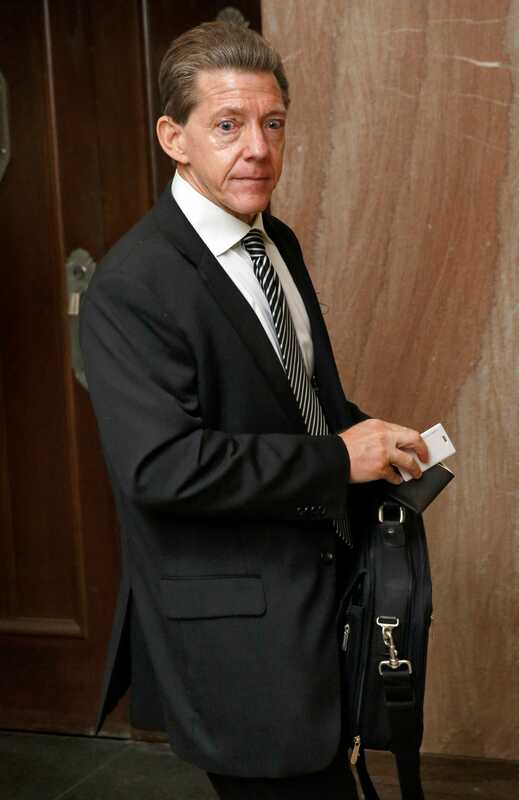 Steve Sisney /ReutersHarold Hamm, founder and CEO of Continental Resources, enters the courthouse for divorce proceedings with wife Sue Ann Hamm in Oklahoma City, Oklahoma September 22, 2014. Hamm started Continental in 1967, and about 68 per cent of the firm’s shares are in his name. His stake was worth more than $US18 billion when the trial started in August. It’s worth around $US14 billion today. Since the couple wed in 1988, Continental has grown from a smalltime driller worth less than $US50 million into a $US20 billion behemoth and one of Oklahoma’s largest companies. Because Harold owned his shares before he and Sue Ann were married, they belong to him. But under Oklahoma law, their “active” appreciation since 1988 is subject to “equitable distribution” with Sue Ann, a former executive at Continental who filed for divorce from Harold in 2012. Her legal team contends that the amount of marital wealth the court should divide is more than $US17 billion, a sum that included most of Harold’s stake in Continental a few months before the trial began. Court filings show that his attorneys argued that the couple’s shared wealth is a tiny fraction of that amount. The couple never signed a prenuptial agreement. 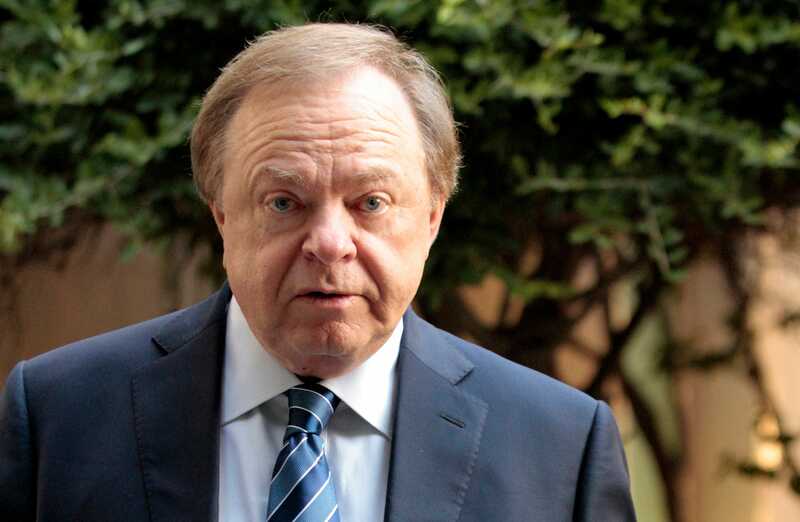 Harold Hamm’s leadership at Continental is central to the case. In court, his lawyers attributed most of Continental’s success not to Hamm’s business savvy but to factors beyond his control. If Haralson accepts the argument — that market factors such as rising oil prices, or decisions made prior to marriage caused Continental’s growth — the award toSue Ann could be much smaller. The trial ended on Oct. 9, and Haralson is poring over thousands of pages of evidence before he issues a judgment in the coming weeks, or the two sides settle. Last week, Haralson denied a motion by Reuters to intervene in the case to have trial transcripts and other records unsealed. The Oklahoma Supreme Court, which heard the Reuters request to unseal the records this week, has not yet ruled. In a filing before those hearings, Continental said it opposed opening court records because the documents contain confidential business information, including strategic plans, board minutes, and highly sensitive information on its oil reserves, among other things. “A corporate counsel would have a legitimate role in trying to keep confidential information about the company from being disseminated,” said Ilan Hirschfeld, head of the marital dissolution practice at the consultancy firm Marcum LLP in New Jersey. Steve Sisney/ReutersSue Ann Hamm stands in the courthouse hall before divorce proceedings with Harold Hamm, founder and CEO of Continental Resources, in Oklahoma City, Oklahoma September 22, 2014. Continental may also have a significant interest in the outcome of the trial. Eissenstat, appointed as Continental’s general counsel in 2010, previously had represented Continental and Harold Hamm personally during 27 years in private practice. As recently as 2010, he served as Harold’s personal lawyer in a case involving Oklahoma oil and gas wells. Continental was not a party in that case. As of Feb. 22, Eissenstat also owned shares in Continental valued at more than $US7 million, SEC filings show. Months before the Hamm divorce trial, Continental expanded Eissenstat’s role at the firm, naming him its chief risk officer. The new responsibilities put Eissenstat in charge of keeping Continental out of corporate governance trouble and guarding against conflicts of interest and reputational damage — duties that would give Eissenstat reason to be concerned about the divorce trial. 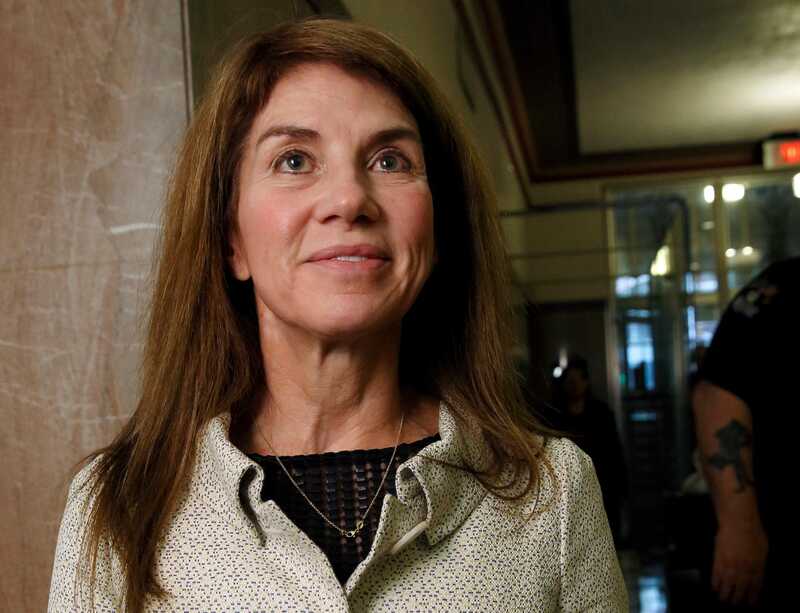 In court filings, Continental said it was brought into the case by Sue Ann Hamm’s broad and “abusive” demands for evidence from the company, and because dozens of its current or former employees were subpoenaed. “Continental doesn’t like being here,” Eissenstat said at a pre-trial hearing, according to a transcript. Eissenstat told the judge he was only present in court to protect the firm’s interests, not Harold’s. Allegations by Sue Ann’s team that Continental meddled in the case to help Harold have been a sore point between the spouses. In addition, Continental has weighed in against Sue Ann. In one of the company’s many filings in the case, a “friend-of-the-court” brief in February, Continental urged the judge to deny Sue Annadditional time to prepare for the trial. “To say the least, it’s highly unusual for a company to file a friend-of-the court brief in its CEO’s closed-door divorce proceeding to oppose his wife’s request for more trial preparation time,” said appellate attorney Lawrence Ebner, a Washington-based partner at law firm McKenna Long & Aldridge. Court records show that Haralson denied Sue Ann Hamm’s request for another five months of trial preparation. Being hurried to trial could hurt her case, her lawyers contended in court filings, because they were racing to examine about 700,000 pages of uncategorized Continental documents that Eissenstat had delivered to them in response to evidence requests. A spokeswoman for Continental, Kristin Miskovsky, has repeatedly said the divorce has had no effect on the company. “Mr. Hamm’s divorce proceeding is a private matter and has not and is not anticipated to impact Continental Resources’ business or operations,” the company said. In one court filing, however, the company says its role in the case has come at “enormous expense.” Eissenstat and his in-house team handled discovery requests in the case. They have filed more than 40 briefs, objections or motions in the divorce case. Former Continental employees who were deposed or called as witnesses told Reuters that the oil company paid for lawyers to represent them. The employees requested anonymity after signing agreements not to discuss their depositions or testimony. It is not unusual for company lawyers to represent employees who will testify in legal cases about their work. But Judith Maute, a law professor at the University of Oklahoma, said that if Eissenstat and Continental used company resources to help Harold, it could draw the ire of other shareholders. Eissenstat’s role and Continental’s costly involvement in the marital dispute have not been disclosed in detail to the firm’s shareholders. How much the company’s board knows about Continental’s participation in the Hamms’ divorce isn’t clear. Continental declined to address the question of whether it plans to bill Harold Hamm for the costs it’s incurring related to the divorce case. What is apparent is the trust the company has put in its top lawyer. Asked about Continental’s involvement in the case, David Boren, the powerful Oklahoma politician who sits on Continental’s board and testified in the divorce trial, had little to say.